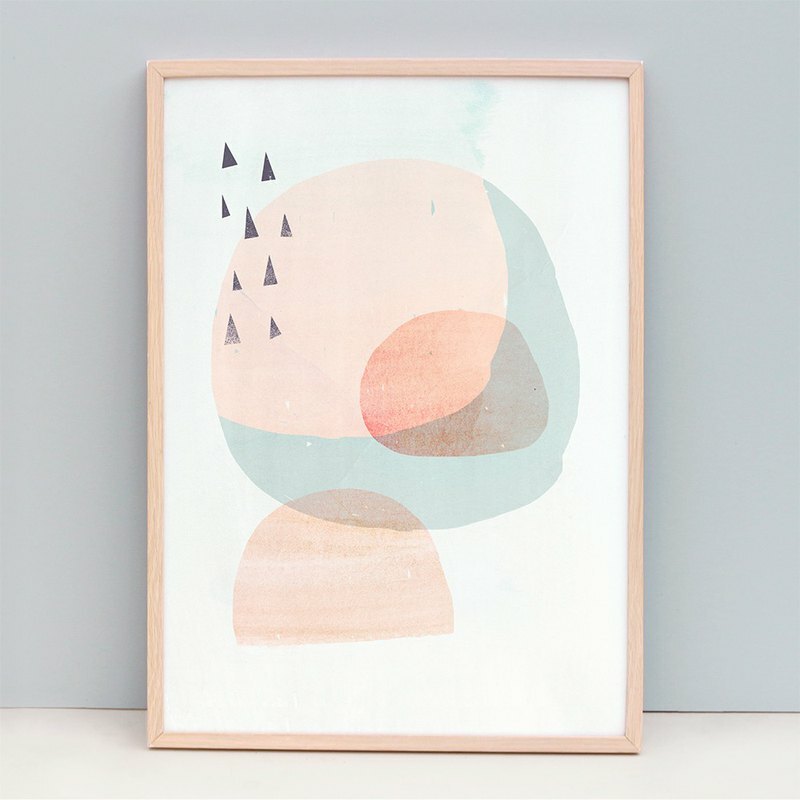 Name of Art Print: Circles and Triangles - Peach - FRAME NOT INCLUDED Paper sizes: - A3 (29.7 x 42.0 cm) - A2 (42.0 x 59.4 cm) - The design will bleed to edge of the paper. - Printed on a 308gsm fine art paper, using Epson archival inks. Print comes in a tube mailer (so print will be rolled) and print is dated and signed at the back. Ammiki watermark at front will not appear on final print.